$ 2,225,000 | 1 bedrooms | 2 bathrooms | 1230 sq. ft. Apartment 7AB peers over the treetops of Gramercy Park and into the midtown skyline. The apartment has ten windows, four exposures, iconic views, and light flowing into the apartment at all times of the day. The current configuration is a one-bedroom with a great room, guest area, two full bathrooms, and five closets. The master is set back from the entertaining area. It has an en suite bath and northern and southern windows allowing a cross-breeze into the bedroom. Other layout options to consider might include two or three bedrooms, and we have included an example of a three-bedroom layout below. Originally two park facing one-bedroom apartments, the combination created a twenty-eight foot wide expanse across the building’s four arched windows. The rebuilding of the apartment included new sub-flooring with solid 5/8th inch Wenge finished floors, a custom designed and built stainless steel and marble kitchen, and bathrooms finished in marble and Bisazza tiles and high-end fixtures. To complete the perfect apartment the owner acquired 12 feet of common hallway to add to the size and flow of the layout. Apartment 7AB is the end unit without neighbors side-to-side, and there are only three units on the floor. The walls and floors are thick, instilling quiet throughout, and the finished ceiling height is a generous 9’3.” Additional customized features and improvements include central air conditioning and recently installed wood-frame windows. Constructed at the turn of the 19th Century, as the Hotel Irving, the building is located in the Gramercy Park historical district, a wholly unique enclave of elegant prewar buildings built around Manhattan’s only private park. The building is a block-though and has an entrance on the park and a secret entrance on East 19th Street near Irving Pace, “Block Beautiful,” as it is known locally. The residents of 26 Gramercy Park South may join the exclusive association that enjoys and has keys to the park. 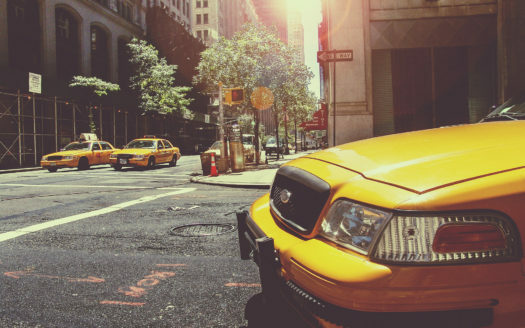 The neighborhood is beautiful and serene, yet located steps away from all the action of downtown, including Union Square, the 23rd Street commercial corridor, Madison Square Park, multiple transportation options, and many of the best restaurants and shopping in New York. A few of the notable Gramercy Park residents include Thomas Edison, Oscar Wilde, and the Kennedys. The building has a part-time doorman, a full-time super, a porter, central laundry room, and pets are welcome. 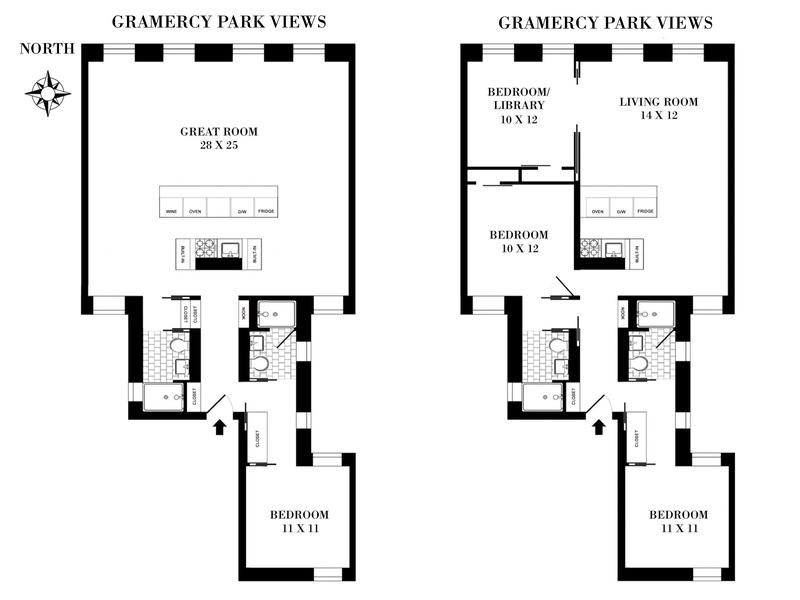 26 Gramercy Park South - current and proposed floor plans.